The Girl Gotta Hike Public Transit Series is a free, once-monthly guided hike that is easily accessed by train or by bus from NYC. Get out of the city and into the woods without needing a car! Spring has finally sprung, wahoo! A perfect time of year to grab your besties and head for the hills. For April’s Public Transit Hike we’re headed back to my perennial favorite, Harriman State Park for a sweet stroll along some streams. In addition to the lovely sounds of babbling brooks, we’ll work our way toward lovely lake views, see some ruins of past Civilian Conservation Corps projects and get to walk on Harriman’s shortest (& cutest) trail, The Poached Egg Trail. Time permitting we’ll grab a drink or a bite in Sloatsburg before catching our train back to the big city. Hike is limited to 15 participants. Please sign up below. Girl Gotta Hike is a women’s group. While we appreciate all encouraging and supportive souls as friends and partners, this hike is just for the ladies. Thoughts? Questions? Prefer to carpool? Let me know below! Transportation Details: For those taking the train, we’ll be meeting near the NJ Transit ticket counter at Penn Station at 9am. Our train to Sloatsburg departs at 9:14 sharp, so please be prompt! The next one isn’t for two more hours and I’d hate for you to miss the hike! I highly recommend using the NJ Transit app to make your ticket purchases — it’s stupid convenient. Look for an email a couple days prior to the hike for more detailed travel info and trail updates. Winter/Bad Weather Policy: I’ll be checking on specific trail conditions the week of the hike, but please keep in mind that early spring hiking can still be cold and a bit slippery. You know what they say about April showers? Even if it’s not raining on the day of our trek, we will be walking stream-side for much of this hike and spring trails have a tendency to be muddy. Be sure to bring waterproof shoes if you have them or a change of socks and shoes for the ride home if you don’t. 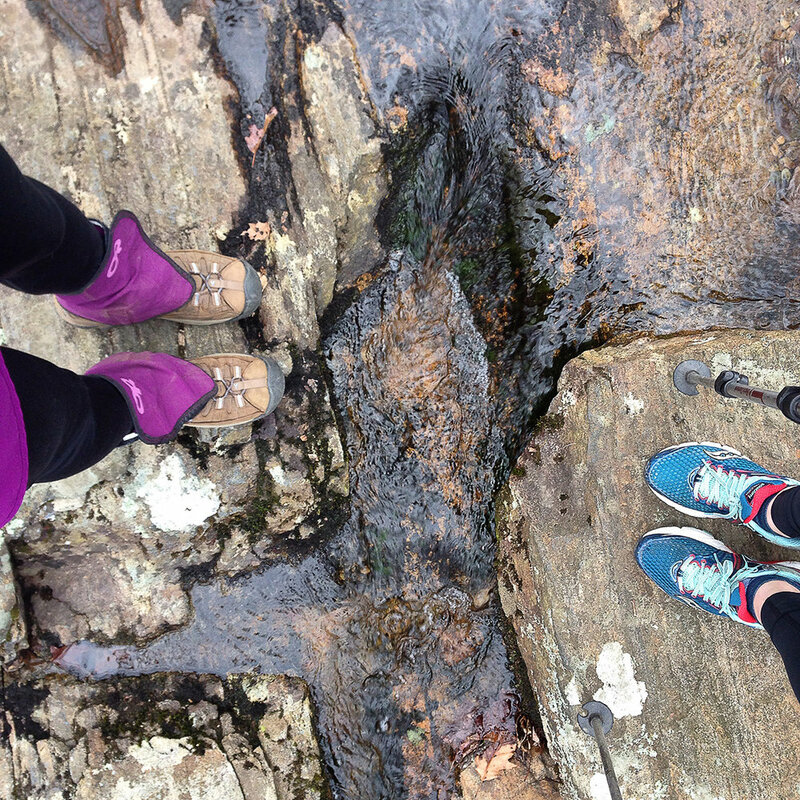 Most hikes will go on rain or shine. However, in the case of extreme weather such as blizzards, lightning or high winds, I promise to keep you safe and re-schedule the hike for a later date.